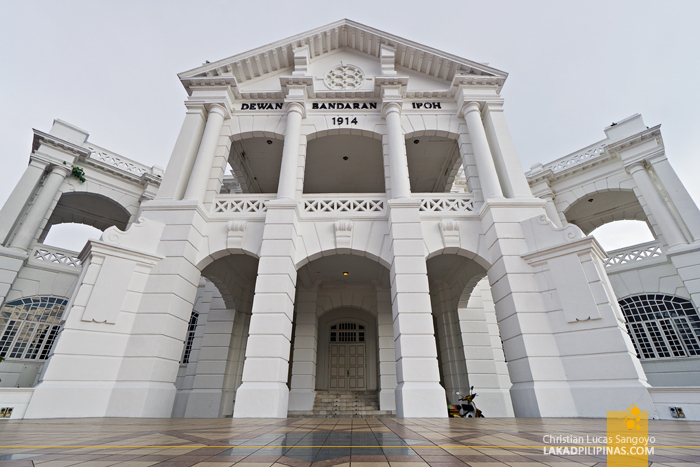 Our trip to Malaysia comprises of not only touring Kuala Lumpur but also a day trip to Ipoh. 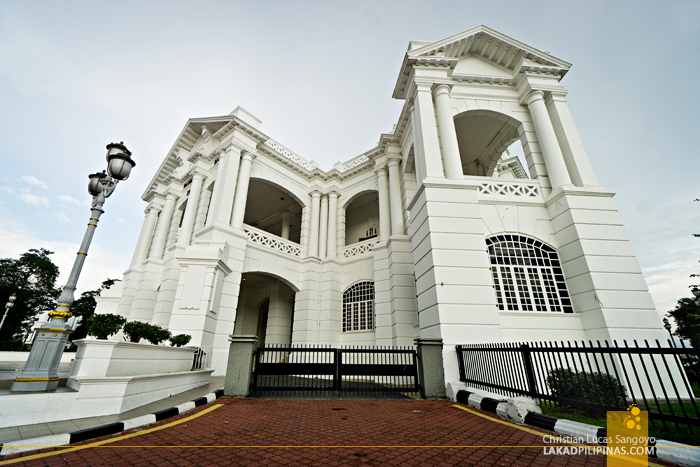 We checked out early from our lodging, Dorsett Kuala Lumpur, and set off for a three-hour trip to Ipoh. There are actually a lot of day trips you can do to nearby cities from KL, the most popular of which is to Melaka. And since we’ve been to the capital numerous times, we’ve been asking ourselves why we haven’t thought of going to Ipoh before. Taking advantage of Cebu Pacific’s daily evening flights from Manila to Kuala Lumpur, it was one way of making the most out of our weekend in Malaysia. Ipoh, the capital of Perak State, is the third largest city in Malaysia and is located between Kuala Lumpur and Georgetown. 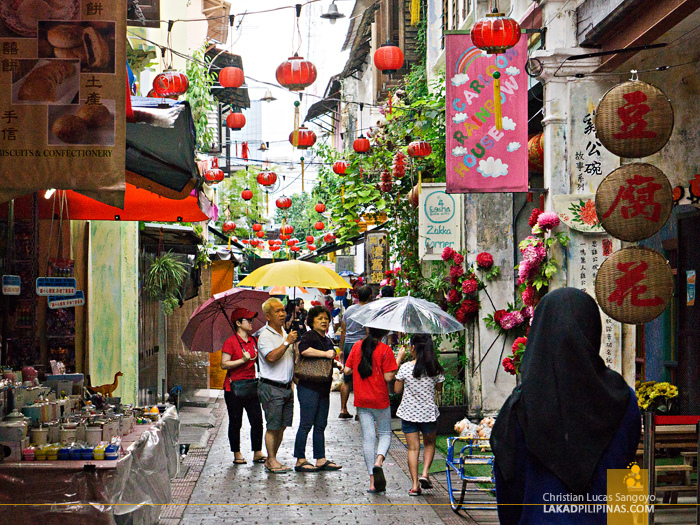 Some dub it as Hipster Capital of Malaysia, probably due to the many hip cafes that line its narrow streets, while not a few call it the Town Built by Tin, due to its history as a rich tin mining town before it actually ran out of the precious metal. Coming into town, I can’t help but notice the jagged limestone karsts that surrounds the area similar to the Langkawi Geopark and those in Vietnam’s Halong Bay. 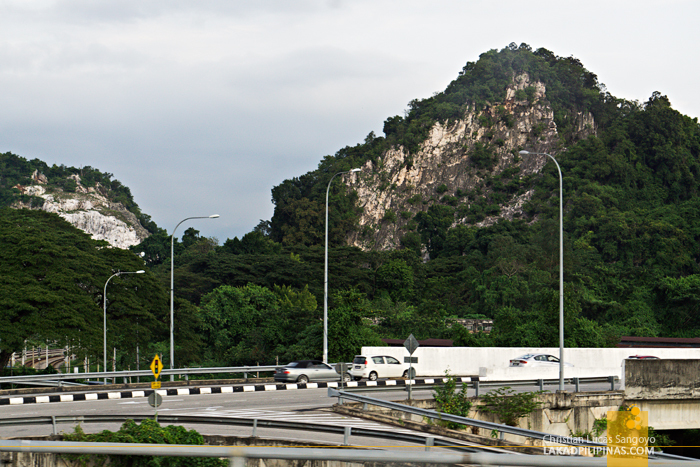 And these are actually home to many caves, making Ipoh one of the spelunking capitals of Malaysia. Some of these caves are even home to temples, which due to time constraints, we were unable to visit. It was almost lunch time when we arrived in Ipoh, so the first order of the day was food. Ipoh, we were told, can go head to head in terms of food with Penang and Melaka. We were quite excited to hear that! 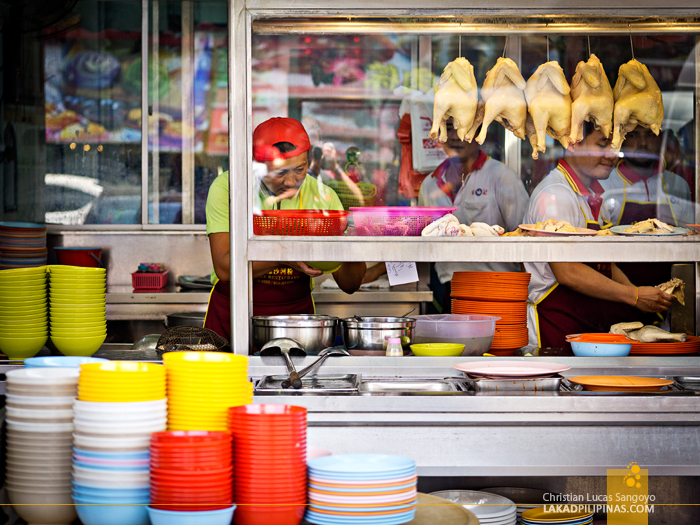 We sat down at Restoran Onn Kee, one of the three most popular hawker places in Jalan Yau Tet Shin, an area replete with hawker stalls. 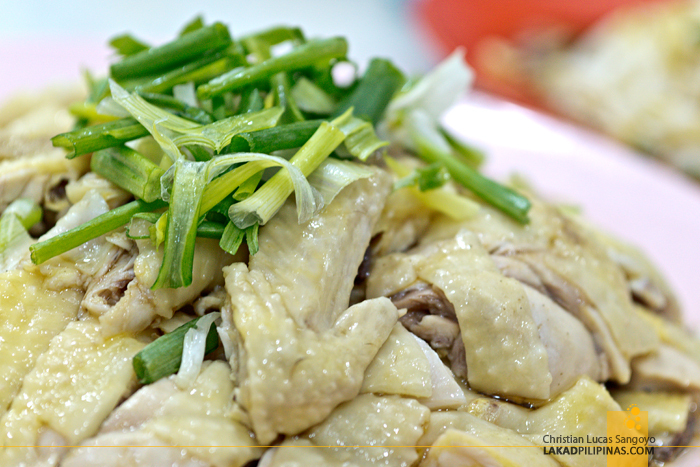 These restaurants all serve the same thing, tauge ayam kue tiau, one of Ipoh’s claim to fame. 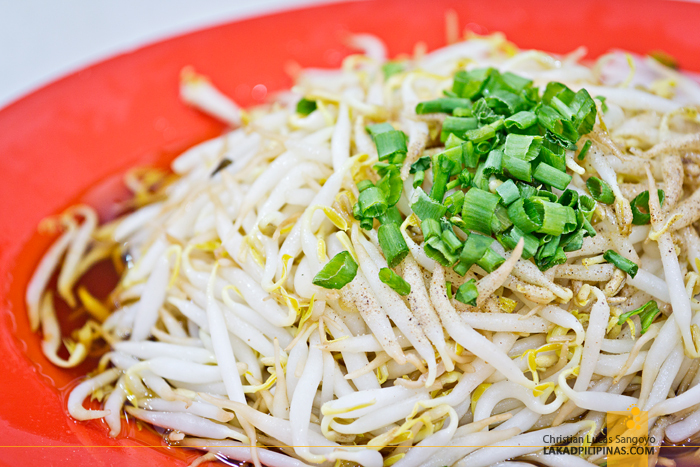 The dish comprises of steamed chicken, which is served chopped and topped with onion leeks, and a separate plate of giant crunchy bean sprouts. You then eat it either with a flat noodle soup or rice. I chose the noodles, we have lots of rice back home. As sides, we also ordered a bowl of superb meatballs soup and char siew (pork barbecue) which we found to be really similar in taste to our very own tocino. For desserts, we tried one of the many cakes and buns that people line up to along the sidewalks. 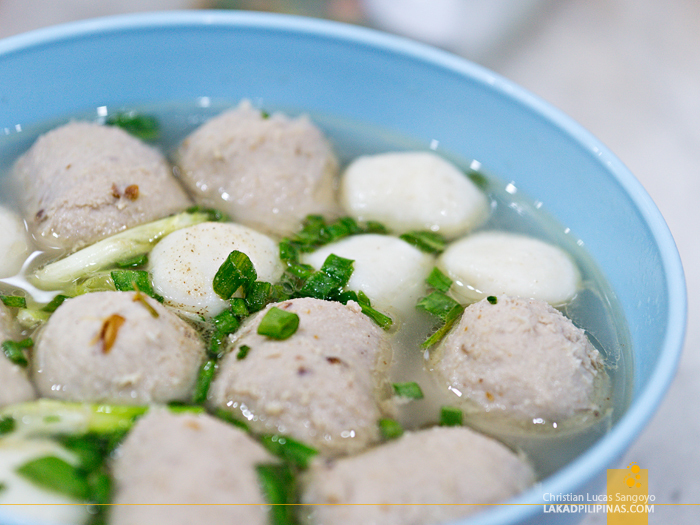 It was our first full taste of Ipoh and it did not disappoint. Right after, we shopped for the next best thing Ipoh is known for, white coffee. Along the same street, we went inside a local grocery and loaded up on white coffee (instant and brewed), mee goreng instant noodles, and our favorite bottled sambal from Malaysia, Tean’s Gourmet’s sambal udang bercili ranggup. We literally filled two boxes worth of Malaysian goods on our way out. 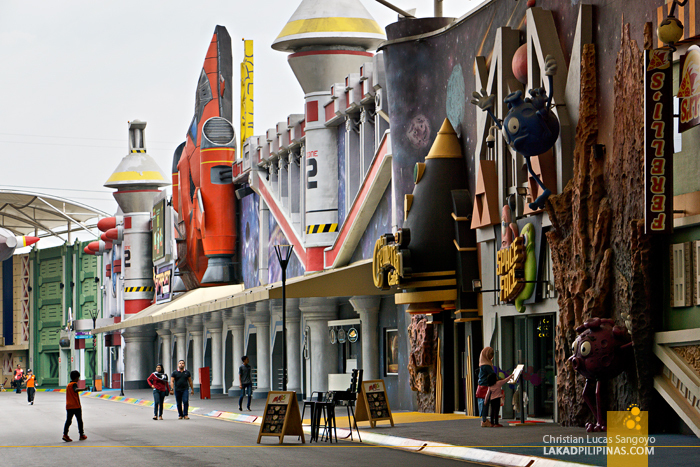 We then drove to one of the newest theme parks in Perak, the Movie Animation Park Studios or MAPS for short. 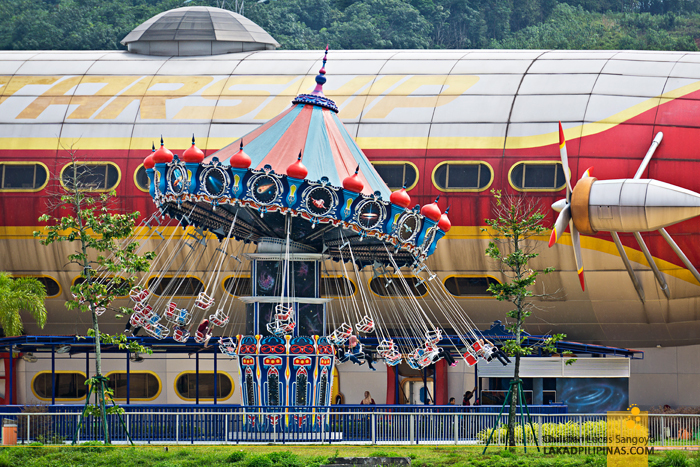 The 21-hectare property opened last 2017 and claims to be the first animation theme park in the whole of Asia. And indeed, it felt like we’ve stepped inside the land of cartoon shows! 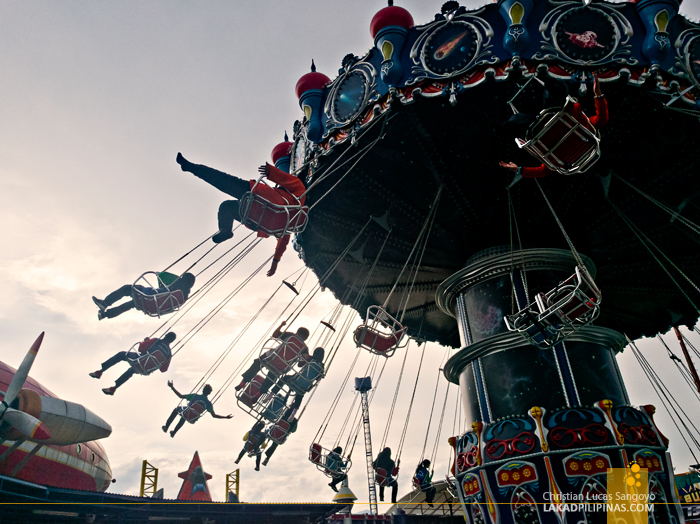 The park has 23 interactive attractions and 15 rides spread all over six zones. Even with limited time, we were able to try out one of their rides, a sort of horror house where you board a train and start shooting off targets with laser guns. We got quite competitive, seeing there’s a scoreboard on each of our cars. We were also able to attend an interactive Smurfs show, which is probably geared for a younger audiences. Well, the whole park is really more for kids—we even posed for a photo with BoboiBoy for my nephew—but we did get to enjoy it anyways. The heavens looked pregnant with rain as we dropped by one of the main avenues of the town to see a few of its government buildings. 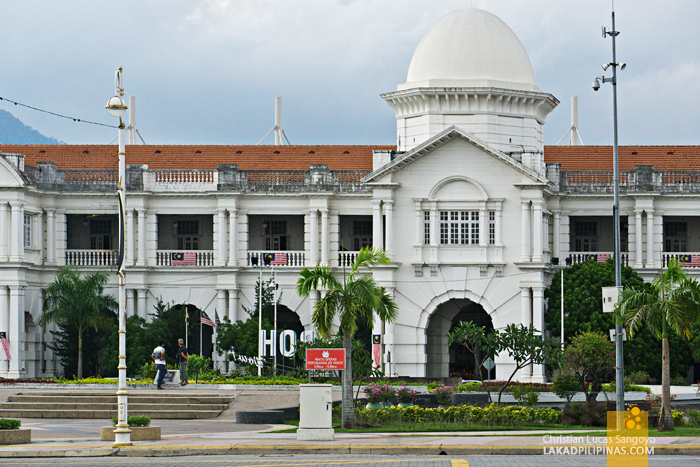 The Ipoh Town Hall, a regal building all in white, and right across it, the Ipoh Railway Station, a sprawling neo-classical building which some dub as the Taj Mahal of Ipoh. We finished taking pictures as the rain started to fall. Just in time. We were quite lucky that rain hasn’t crept in at the Ipoh Old Town, our last stop. 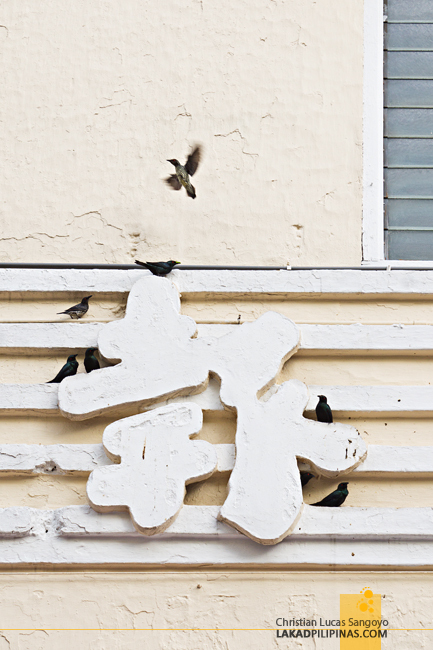 The area is filled with colonial shophouses converted into cool cafes, boutique shops, and chic hotels. It was all quite charming. 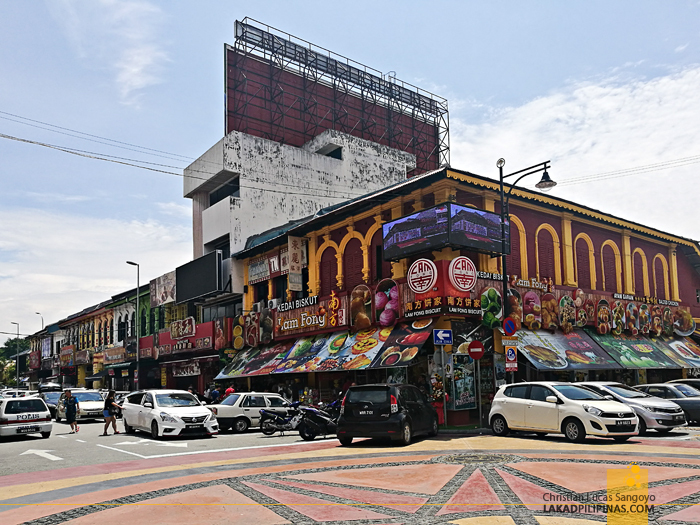 It does look somewhat similar to Penang’s George Town and Melaka’s Jonker Walk to the point that they even have street arts painted on their walls. 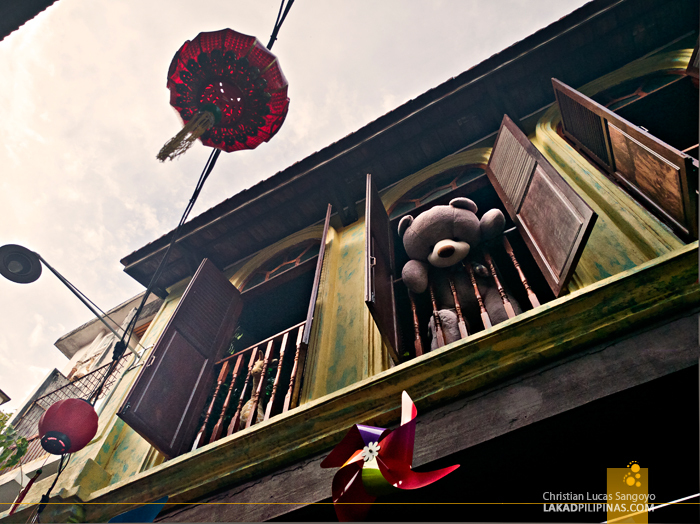 We entered one particular alley, the Lorong Panglima which is more popularly known as the Concubine Lane. There are two stories behind the name of this scandalous street, or more precisely, streets. 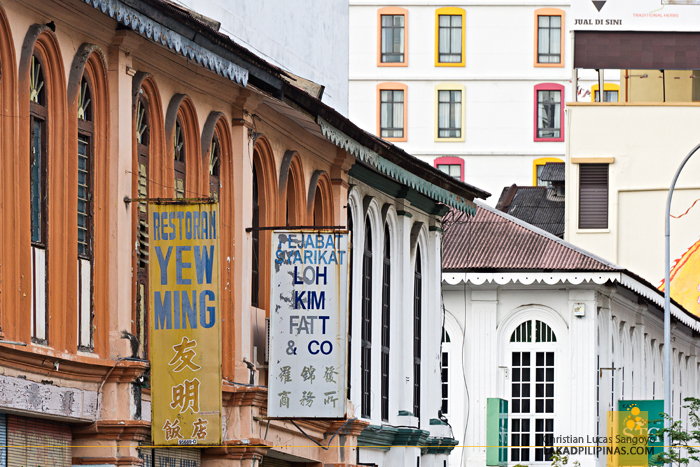 During Ipoh’s Great Fire of 1892, these alleys were part of the rebuilt area in the city. And a particular mining tycoon, Yao Tet Shin, gave several houses on these lanes to his three wives—the Wife Lane, the Concubine Lane, and the First Concubine Lane. 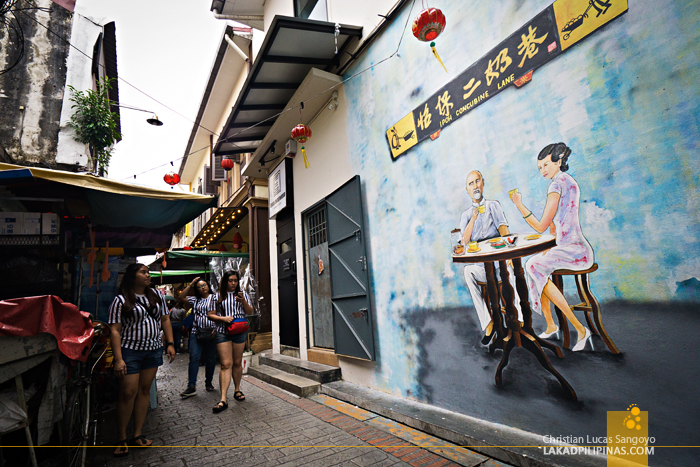 The more popular of these now is the Concubine Lane where many of the shophouses have now been converted into shops and café. And it is on one of this cafés where we had a taste of Ipoh’s famous white coffee. 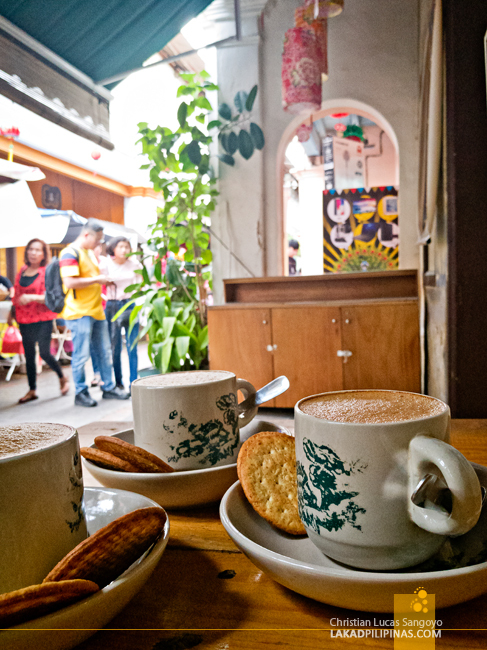 It’s where we actually first heard of Ipoh, and now we’re actually sipping on a legit cup of it. Indeed! Next time we visit, we'll definitely spend more time in Ipoh. Would you say that a week would be too much?